Sheringham’s Cemetery is positioned on the south side of the A149 Sheringham to Weybourne Road. It is on the outskirts of the town, found between the Sheringham Sports Association and the Weybourne Road Allotments. The land for the Cemetery was initially purchased in 1922 by the Sheringham Urban District Council (SUDC). It was officially opened in 1923 by the Chairman of SUDC, Cllr HR Johnson. Originally the cemetery had no access from the coast road. This was achieved through a land swap. 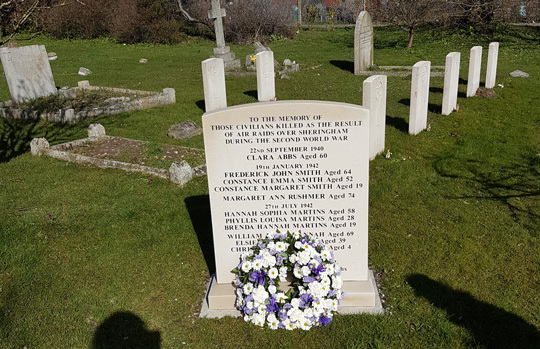 Today the Cemetery is administered by Sheringham Town Council on behalf of the residents of the town. As well as having land available for burials, there is also a ‘Garden of Remembrance’ for the internment of ashes. 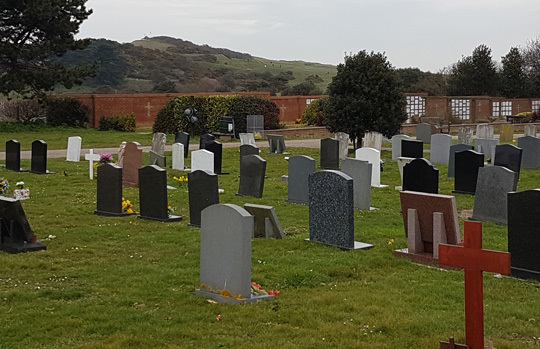 Approximately nine years ago Sheringham Town Council was very fortunate to acquire a parcel of land at the rear of the cemetery. This will enable the cemetery to continue for many years to come. Graves of note include the internationally acclaimed photographer Mary Olive Edis 1876-1955. She is interred at Sheringham with her husband Edwin Galsworthy. Olive opened her first studio in Sheringham in 1905. She was the first woman to be commissioned as a war artis, but also took many pictures of local people and the celebrities and royalty of the day. Many of her war photos are now part of the Imperial War Museum collection and there also are several in the local Sheringham Museum.